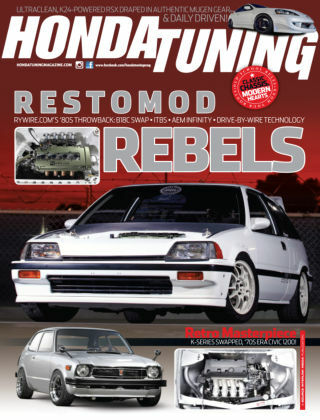 With Readly you can read Honda Tuning and thousands of other magazines on your tablet and smartphone. Get access to all with just one subscription. New releases and back issues – all included. Honda Tuning is a high-excitement publication dedicated to the high-performance world of Hondas…the new millennium's hot rod of choice. Exciting tech tips by the country's leading tuners, dyno testing, new product evaluations and comprehensive how-to articles are just a few of the cutting-edge features that make Honda Tuning the Honda performance enthusiast's magazine of choice.